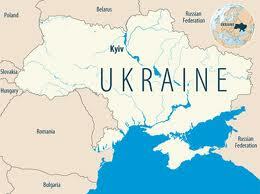 BOOK: UKRAINE OVER THE EDGE: Russia, the West and the “New Cold War”, McFarland Books. LECTURE: “Ukraine Over the Edge: The Making of the Ukrainian Crisis and Civil War,” European University of St. Petersburg, St. Petersburg, Russia, 18 April 2016. “Weimar Maidan Ukraine,” Geostrategic Forecasting Corp., 20 January 2015, www.geostrategicforecasting.com/weimar-maidan-ukraine/. CONFERENCE LECTURE “The 2014 Ukraine Crisis and Civil War through the Prism of the End of the Cold War and Soviet Collapse,” Conference “Fall of the Berlin Wall: Looking Back 25 Years,” San Francisco State University, 14 November 2014.